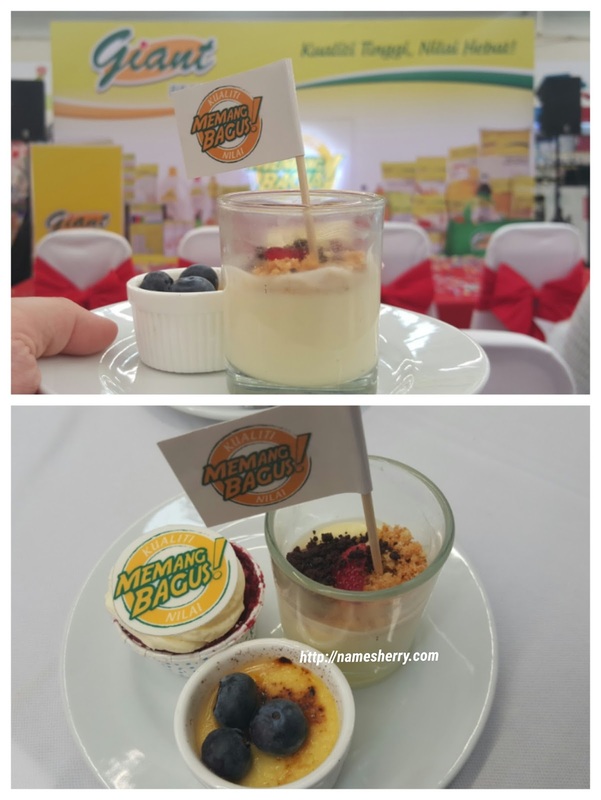 Few days ago, Giant supermarket launched its house brand at Giant Shah Alam. GIANT BRAND, with "Great Quality - Great Value". 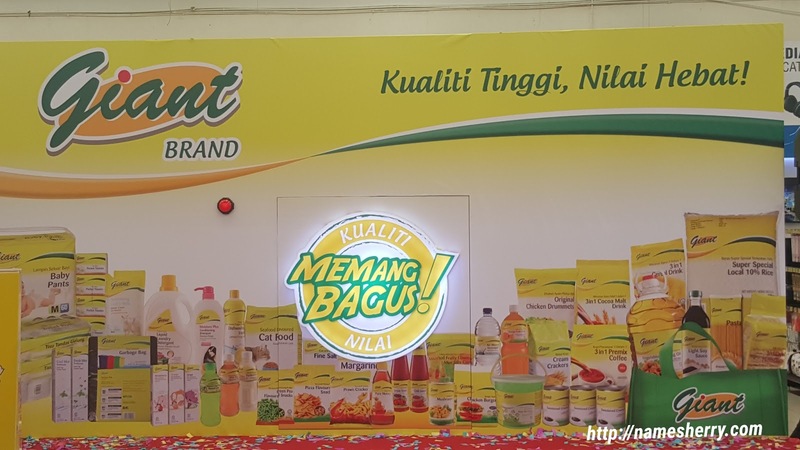 The new fresh look, with yellow colour as based to signify Giant, is designed with a trendy feel and distinctive graphic element for easier identification. Giant House Brand comes with HALAL certified, and approved by the Ministry of Health Malaysia. The house brand which consists of grocery food, grocery non-food & perishable was introduced with its main objective to keeping prices of daily necessities low and to offer the consumers alternative to quality products with better savings and cost effective price range. 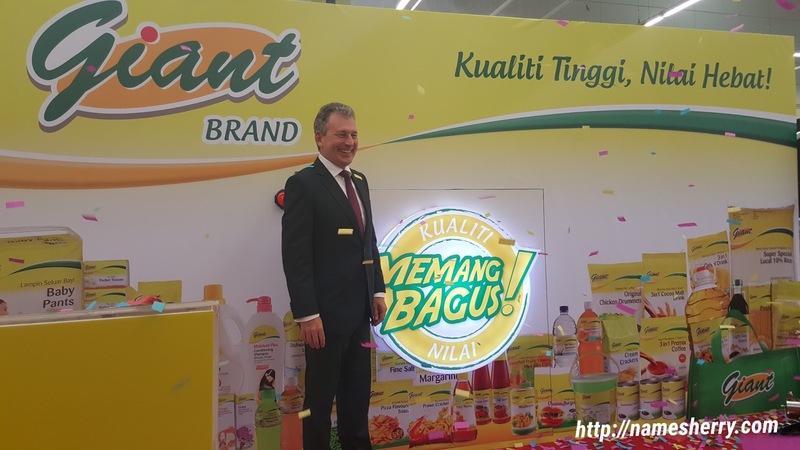 Giant Brand offers over 600 products and the number is projected to increase up to 1,000 products by end 2016. After the launched and group photo, store tour with media for Giant Brand products. 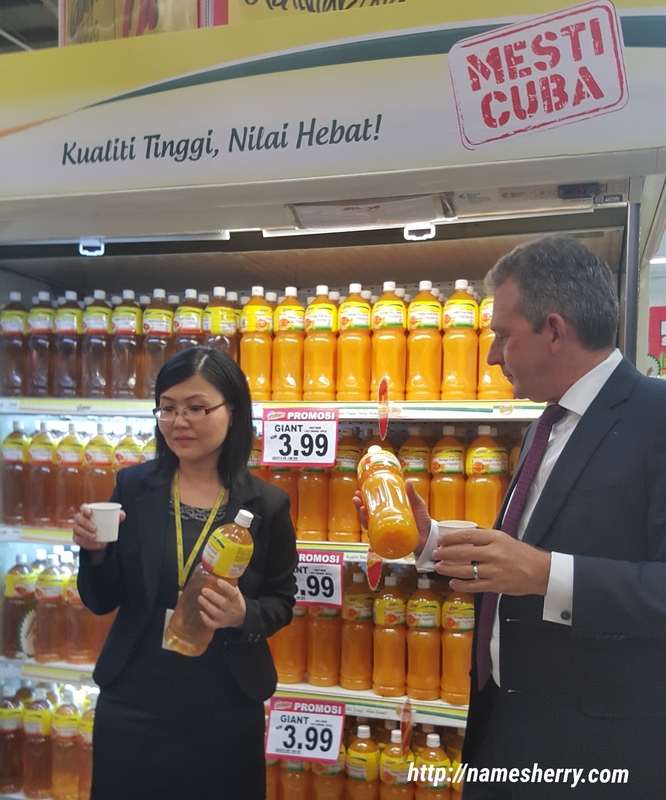 In his speech, Dato' Tim Ashdown said that GCH Retail believes in supporting the local suppliers where nearly 90% of the products are manufactured in Malaysia, 95% of the suppliers are Malaysian and a fantastic 67% of the product is produced by suppliers classified as SMEs. The launch of these products is the result of 18 months disciplined work, each product is clearly specified for quality. 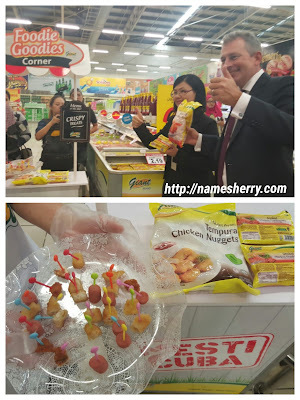 After the store tour with media, there's Giant Food presentation. Food tasting are available, they are cooked and baked using the Giant Brand food products. Beverage like apple juice, orange juice, coffee and tea available. Being mommy of two boys, I know it's important to shop within budget. Everyone is worried about the rising costs of living, the cost of food shopping. 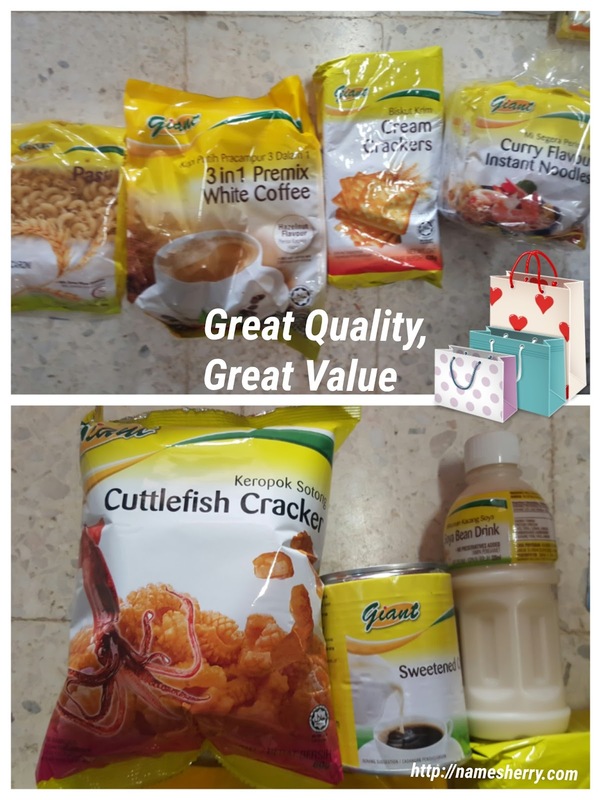 Giant brand product is offered as its lowest price in its category, the best value purchase for everyone and great quality. These 600 products are the daily essential items that you can purchase regularly; eg. rice, oil, flour, noodles, vegetables, snacks, household cleaning products, personal care and baby care. And not just grocery categories, you can also find Giant brand products in yogurt, ice cream, nuggets and frankfurters too. 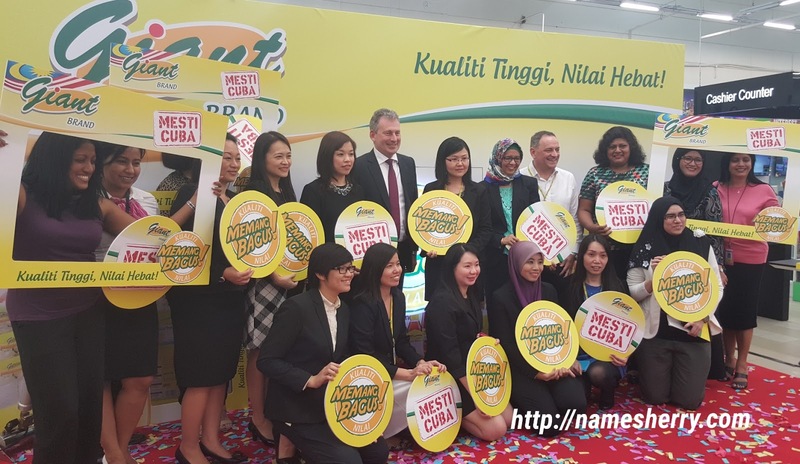 Talking about Giant brand products, don't forget there is promotional period from 21 April to 4 May, you can also stand the chance to win a total vouchers of RM10,000 in a Stamp & Win Contest. 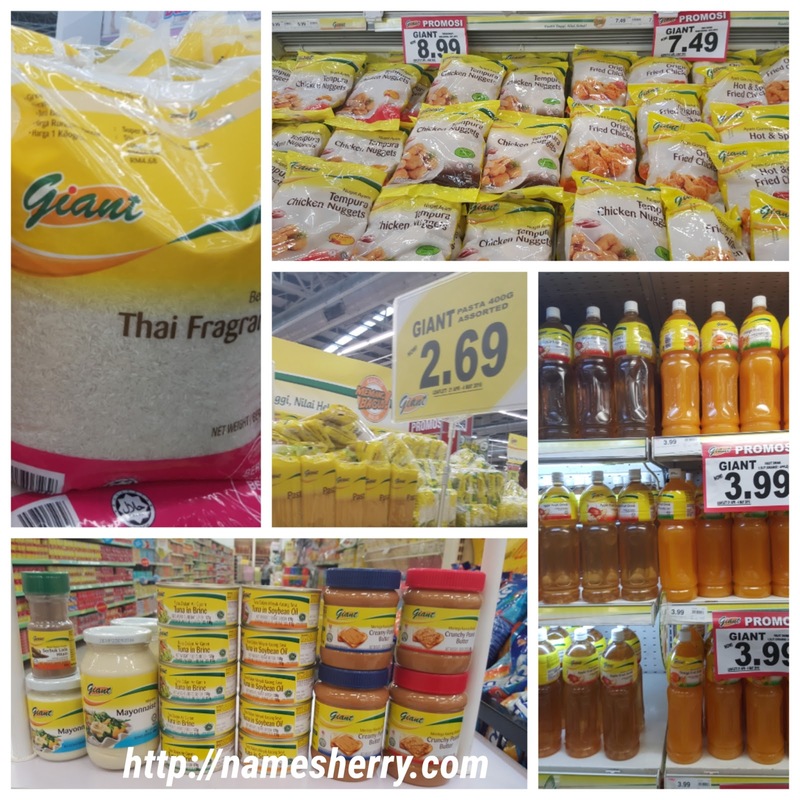 You just need to spend to make a minimum purchase of RM15 of Giant's House Brand and get 12 stamps at the Stamp & Win stations in the Giant store.